How to RETAIN a customer in TOUGH economy? 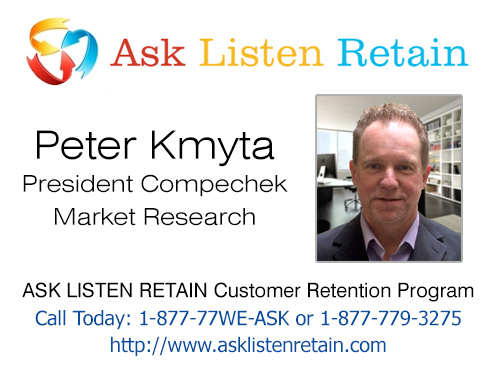 Home / Ask Listen Retain / How to RETAIN a customer in TOUGH economy? Businesses are increasingly under pressure not only to get new customers but also to retain existing ones. Retaining existing customers is important because research has shown that existing customers are not only more cost effective to keep than new ones but are also five times more profitable than new customers. So from a cost and profit perspective, retaining existing customers is the name of the game. This is becoming increasingly important because of the ongoing global economic recession. Thus, businesses are faced with the question is: How can we retain existing customers in an era of increasing cost of doing business and declining profits? • How can we serve you better? Getting the customer to answer those two questions will not only tell you the customer’s perception of your quality of service but also what to do in order to increase that perception. Unfortunately most businesses still neglect to ask these two questions in the proper way and on a regular basis and even when they do ask, they don’t implement the customers suggestions. The result is often dissatisfied customers resulting in reduced repeat business for the company and failure of businesses to realize their corporate objectives in a cost effective manner. Finding out the customers’ perception of our services is the single most important job of today’s organization because customer satisfaction is the purpose of the organization. It is not only important to get feedback from your customers but also vital to implement customers suggestions and get back to them that you have implemented their recommendations. Call us today at 1-877-77-WE ASK to get started RETAINING customers!